Chadrac Akolo will look to make a big impact at Stuttgart on their return to the Bundesliga. 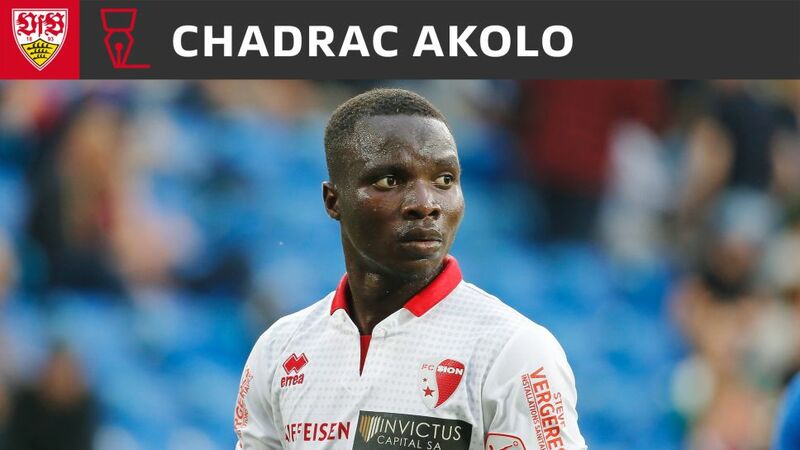 Bundesliga returnees Stuttgart have snapped up exciting attacker Chadrac Akolo from Swiss side FC Sion, the Congolese penning a four-year contract with the recently promoted side. The 22-year-old Kinshasa-born midfielder – who can operate on either flank – arrives at the Mercedes-Benz Arena following a phenomenal campaign in Switzerland, where he scored 15 goals in 34 Super League appearances in Sion's push for a fourth-placed finish. "I am grateful for my successful time in Switzerland and am now looking forward to the fresh challenges at my new club Stuttgart," Akolo said, shortly after signing his contract with Die Schwaben . "I am looking forward to getting to know my team-mates at our upcoming training camp and want to do my part to help us have a good season." Stuttgart - who are back in Germany’s top flight as Bundesliga 2 champions – open their 2017/18 Bundesliga campaign away to Hertha Berlin on 19 August. Watch: Take an inside peak at Stuttgart's Media Day!